Where in the Army World am I? 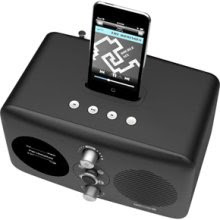 We are giving you the chance to listen to Garrison FM anywhere in the world, by winning a Revo Domino Internet Radio worth around £150! Each morning this week we are giving you a clue to a location that is familiar to those in the Army. If you can work out where it is you could be winning this stunning internet radio. Plus, we are going to continue to give away a Revo Domino Internet Radio every month for the next six months, so if you aren't successful this time you will have to listen out for your next chance to win! We welcome the adoption of our competition rules by other radio companies. If you are linked to this page by an official radio station website, then these too are your chosen radio station rules. All our radio station competitions and promotions are run under this strict set of rules to make them fairer for everyone involved. Unless specified otherwise, entries are limited to one per household or primary residence. Additional entries are acceptable from family members of entrants already in the draw of a competition or promotion if their permanent address differs. Unless specified otherwise, entry is restricted to persons aged 16 and above. In all competitions and promotions the judges decision is final. No claim will be entertained and no correspondence will be entered into. By entering any competition or promotion on this radio station the right to lodge a claim is forfeited by the entrant and by any member of the entrant's family. No employee of this radio station or their families or employees and families of associated companies, employees, volunteers or associates of radio stations operating in the same area may enter any competition or promotion run by this radio station. All entrants to competitions or promotions indemnify this radio station against any form of claim by themselves, their relatives or friends. Where any prize on offer is a motor vehicle all entrants must possess the appropriate full driving licence for that class of vehicle. Where the prize on offer is an overseas holiday it is the responsibility of the entrant to ensure that they hold the necessary visas and passports and have taken insurance to protect their interests abroad. Where the prize on offer is free meals, entrance to events, use of facilities or fuel then vouchers/letters (or combinations thereof) will be sent to the winners. No cash value is assigned to any prize offered except actual cash prizes. There is no surrender value of a prize or equivalent of prize offered. Where a competition final requires the presence of the entrant no claim will be entertained in the event of failing to appear and any prize being won will be forfeit as a result. Once you have won a prize with a value over �10 you will not be allowed to enter a competition again for another calendar month. If you do, then the prize is forfeited.